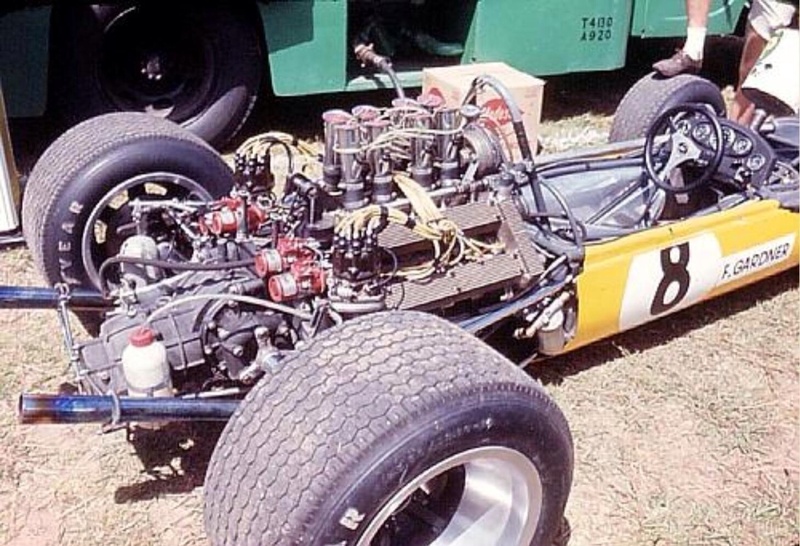 Alfa’s Tipo 33 V8 sportscar engine was first used in elite single seater racing by Australia’s Alec Mildren Racing- a step on its way to F1 competition by the Arese marque. 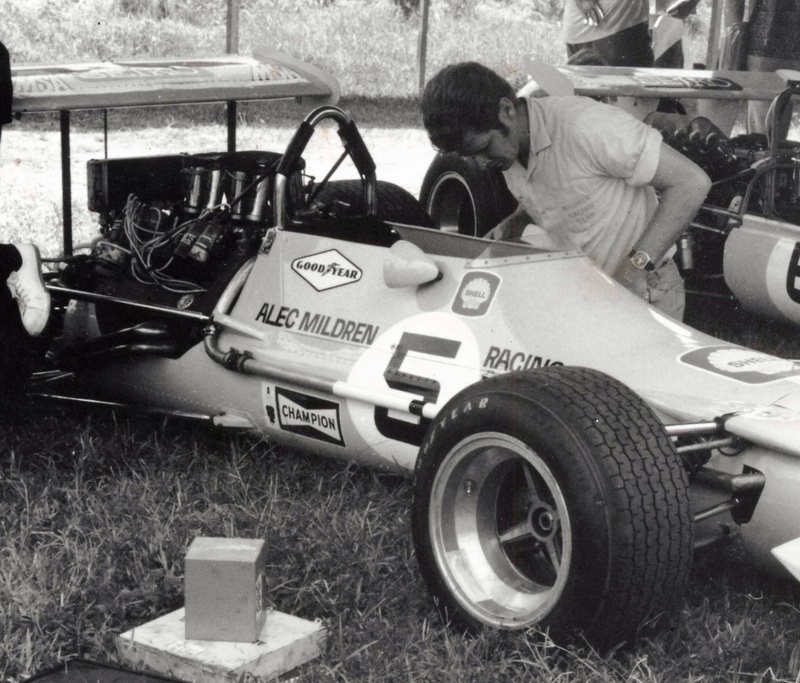 Mildren, a Sydney Alfa Dealer, former Australian Gold Star Champion and Australian Grand Prix winner had one of the most professional teams in Australia. 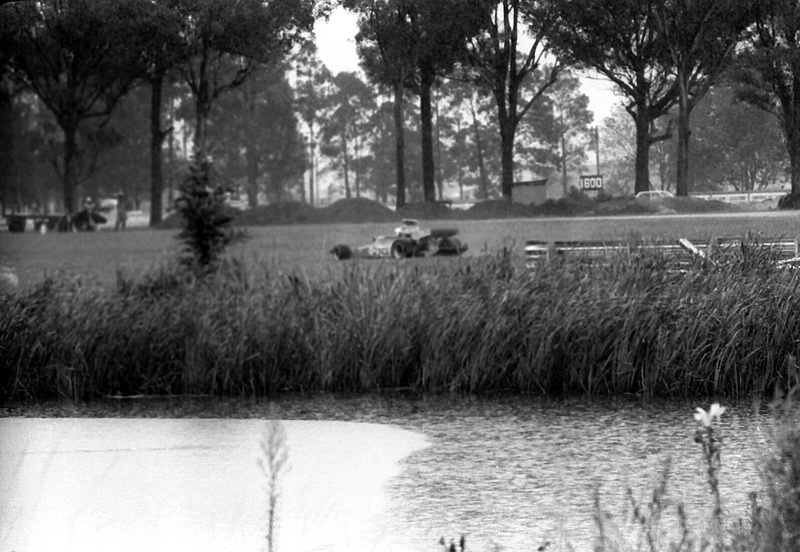 He had impeccable Alfa Romeo/Autodelta connections having acquired and raced two GTA’s and a TZ2 in the early to mid sixties, and in the process ‘polished’ Alfa’s Australian brand, one of the greatest of the ‘Grand Marques’ which was then relatively new to the ‘Oz market. 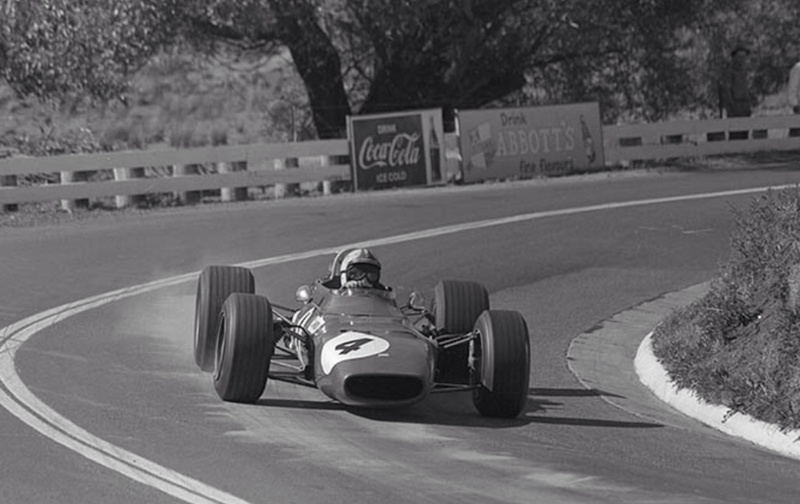 Mildren’s 2.5 litre Coventry Climax FPF engined Tasman Brabham BT11A/BT16 being raced by Gardner on his annual trips home from Europe was being ‘flogged’ by the Repco Brabham, BRM and Coventry Climax V8’s in 1966/7, so he sought an appropriate response- a sprint variant of the Tipo 33 engine was the obvious choice given his Alfa connections and local marketing needs. 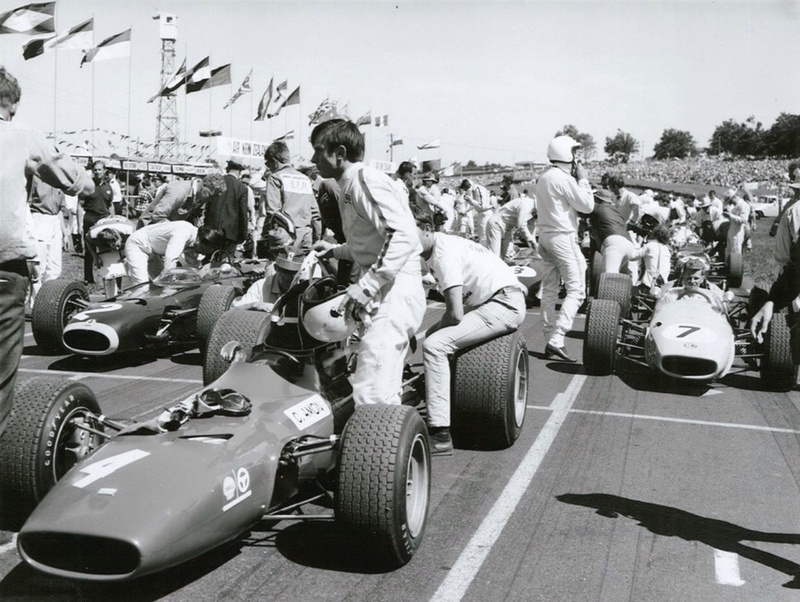 The car arrived in Australia in time for the final round of the domestic Gold Star Championship- the Hordern Trophy at Warwick Farm in 1967- FG won upon the cars race debut. 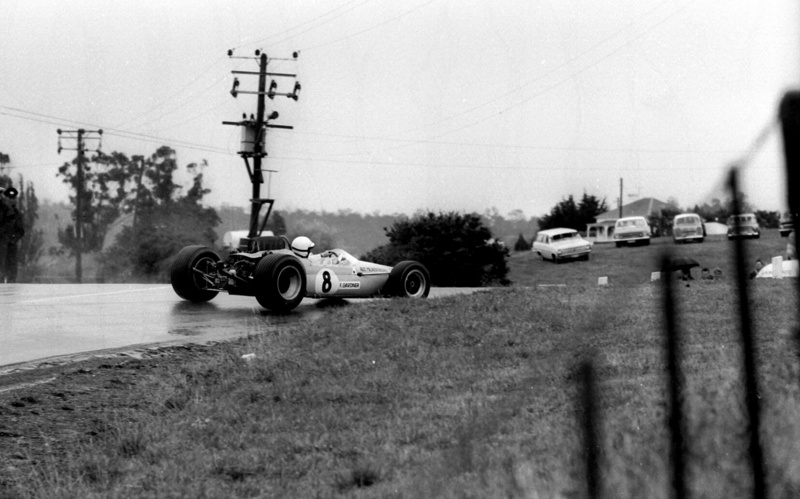 He then contested the 1968 Tasman. 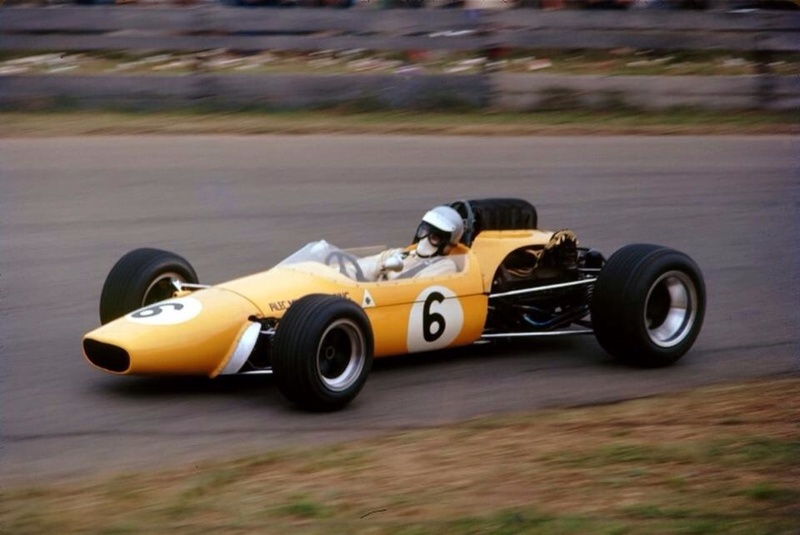 The motors were then installed 12 months later into the Mildren ‘Yellow Submarine’, a monocoque car designed by Len Bailey and built for the team by Alan Mann Racing for the 1969 Tasman Series. 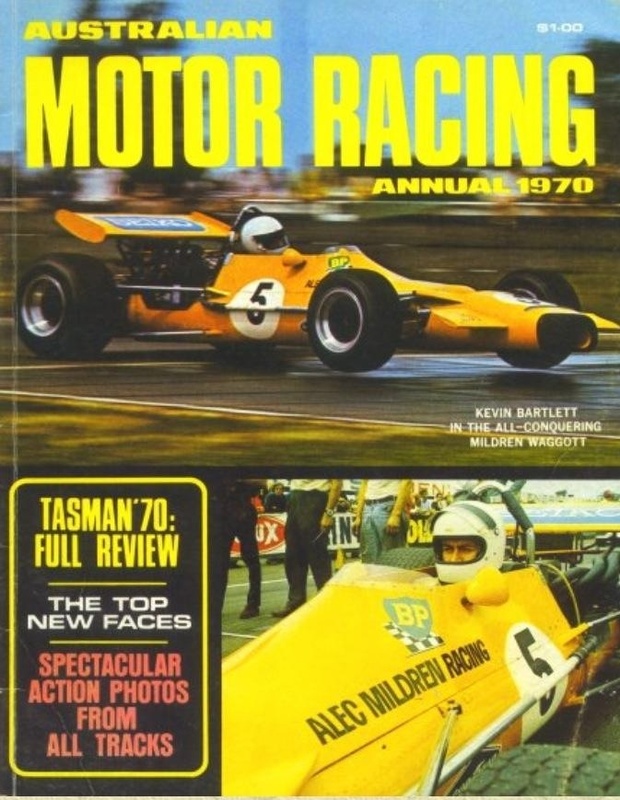 Both cars were raced by Frank Gardner in the Tasman Series and then ‘handed over’ to Kevin Bartlett for the Gold Star Championship, when Gardner returned to the UK at the end of each Australasian summer. 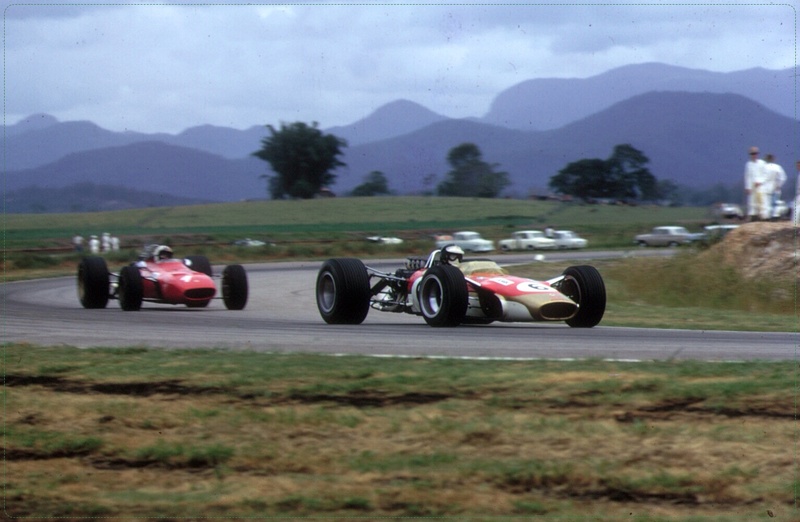 Bartlett won the Gold Star in 1968 and 1969 with each chassis respectively- BT23D and ‘The Sub’ respectively. 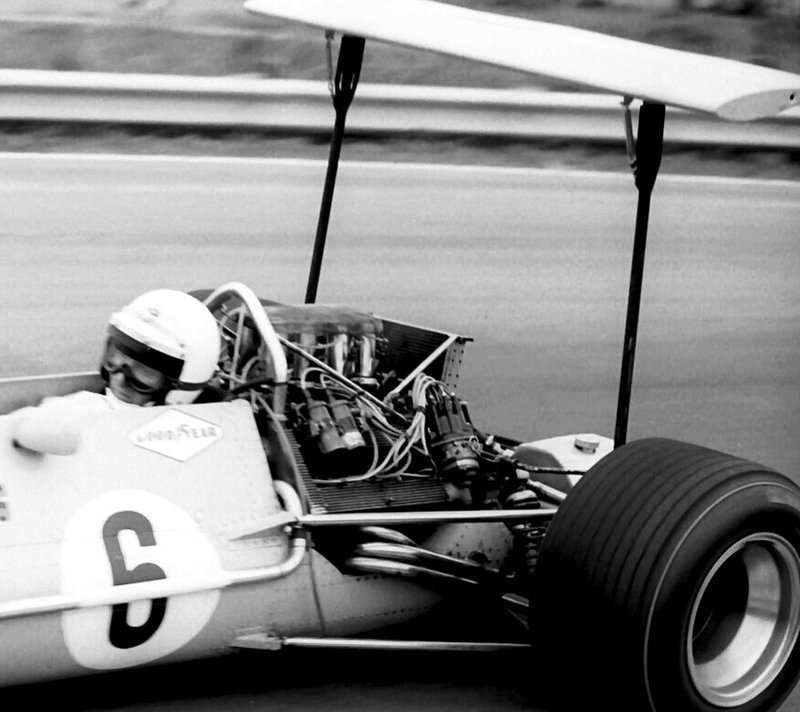 In 1969 the ‘Sub’ was also powered by Merv Waggotts’s 2 litre ‘TC4V’ 4-cylinder, DOHC, 4 valve, Lucas injected 275 bhp engine for part of the season. 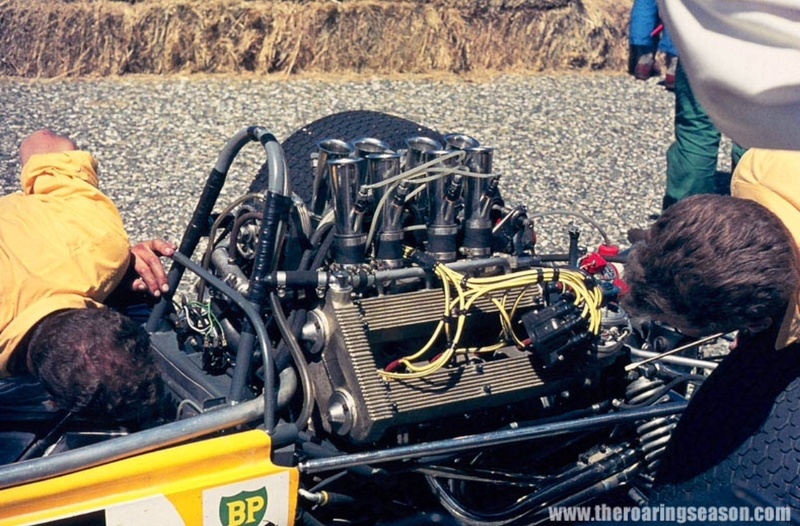 Above is a beautiful photograph of the 2.5 litre, 2 valve, 4 cam, fuel injected, 2 plug Alfa Tipo 33 V8 installed in Alec Mildren’s Gardner driven Brabham BT23D at Teretonga during the 1968 Tasman. 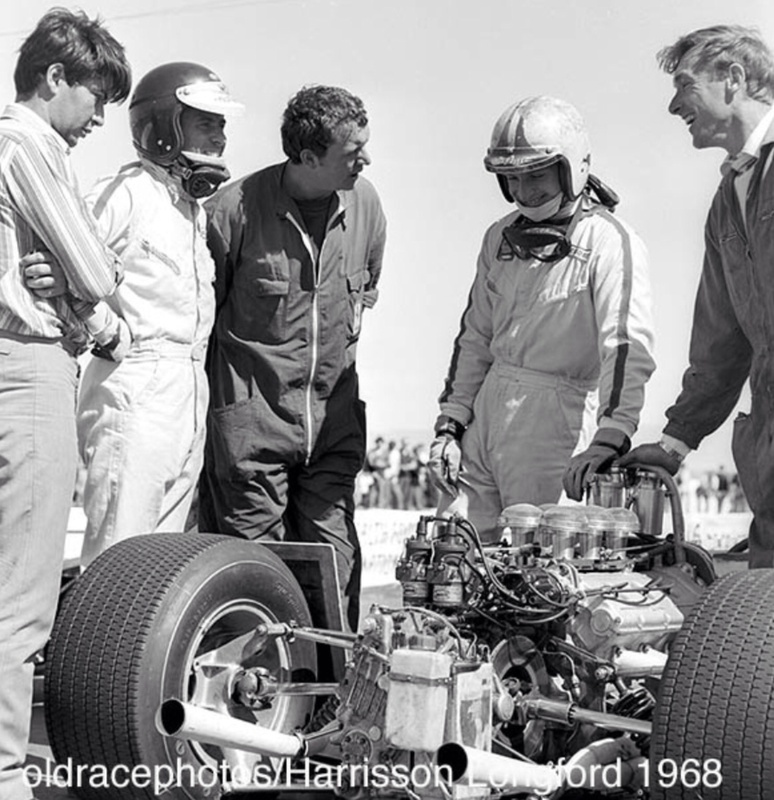 Gardner was equal fourth with Graham Hill in the series behind Jim Clark, Chris Amon and Piers Courage in Lotus 49, Ferrari Dino 246T and McLaren M4A Ford FVA respectively. 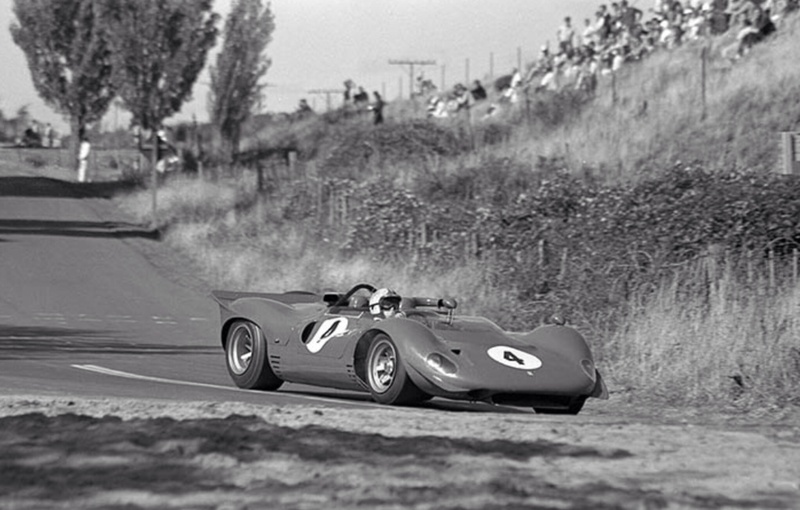 ‘My memory tells me the Alfa had around 350lbs (of torque) and the Waggott about 230lbs. The useable power range was quite different with the Alfa workable between 4500-8800 rpm and the Waggott 6800-8750rpm. Not perfectly accurate as i work from memory but around that kind of difference’. 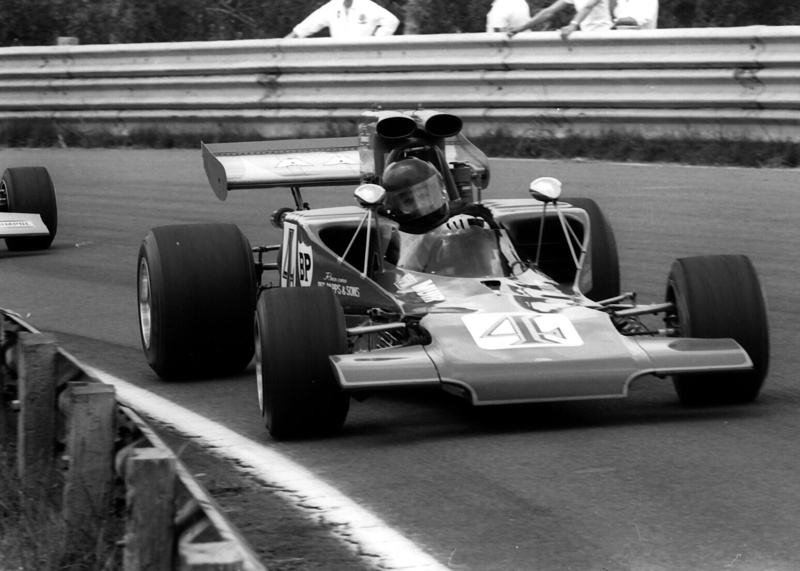 ‘The turn in changed to a marked degree with the lighter power plant (Waggott) having less moment of inertia allowing the car to be literally flung into a turn. As it happens i am the only driver to experience both configurations. 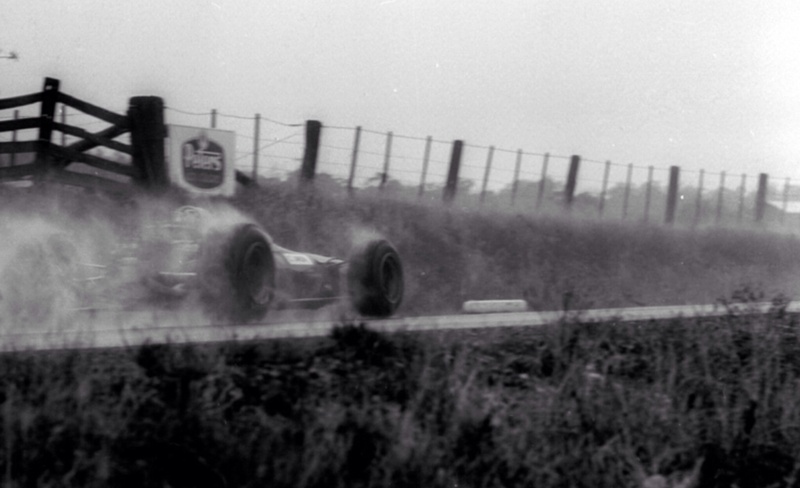 Frank Gardner having raced only the Alfa Romeo engined variant of each car’. ‘Len Bailey was the (Mildren’s) designer of the tub which flexed a little at the rear with the Alfa’s torque, less so when the Waggott went in, with suspension being a (Brabham designer) Ron Tauranac adaption’. Alfa Romeo claimed 315bhp at 8800 rpm for the 2.5 litre variant of the engine. 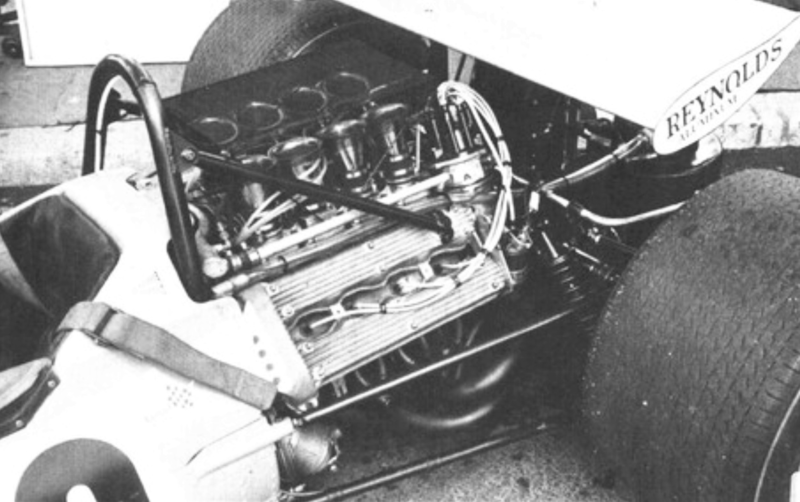 A similar 3 litre, four valve per cylinder, 32 valve engine (the Mildren V8’s were all chain driven two-valvers) was developed for Cooper in F1 but wasn’t used before the teams demise. Was an all aluminium unit with a bore/stroke of 86mm X 64.4mm for a total of 2998cc. Five main and camshaft bearings were used, the four camshafts driven by chains. 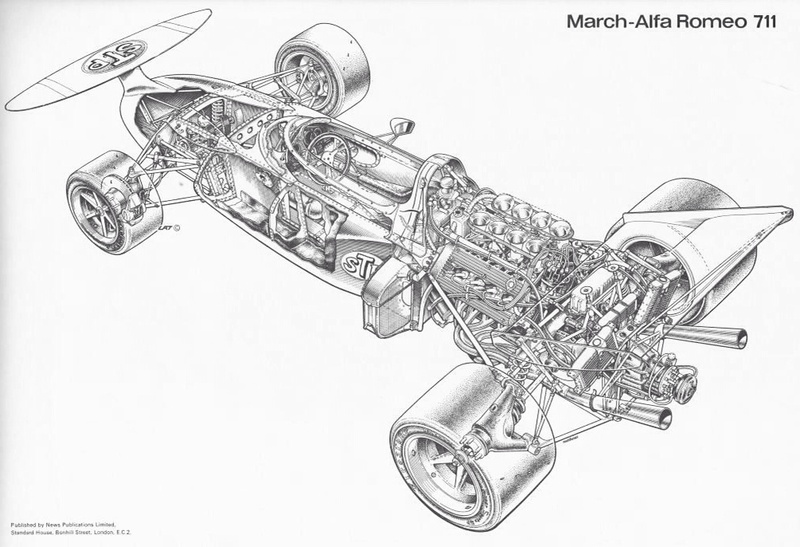 The valves were inclined at 30 degrees, the inlets were 32mm and exhausts 27mm in size, Alfa Romeo/Autodelta claimed an output of 400bhp @ 9000rpm in sportscar form. 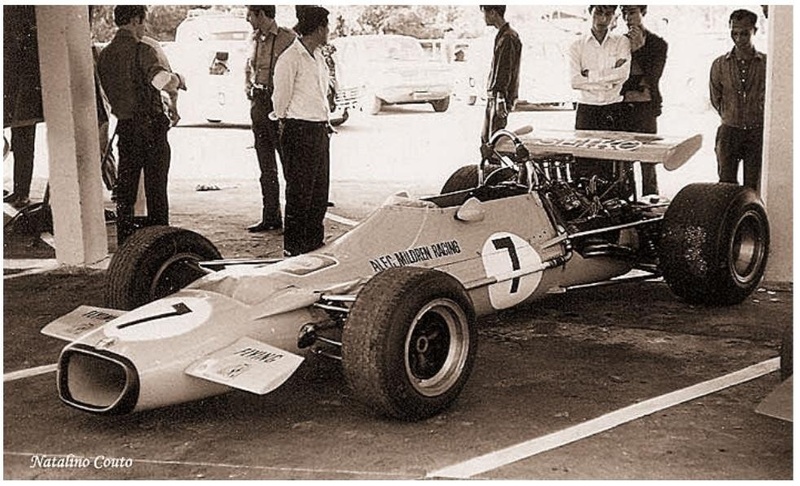 Modified with gear driven camshafts for F1 use, Autodelta claimed 430bhp @ 10,500 rpm at a time the 3 litre F1 competition- Ford Cosworth DFV gave circa 440, the Matra V12 445-450 and Flat-12 Ferrari 460bhp @ 12,000 rpm. 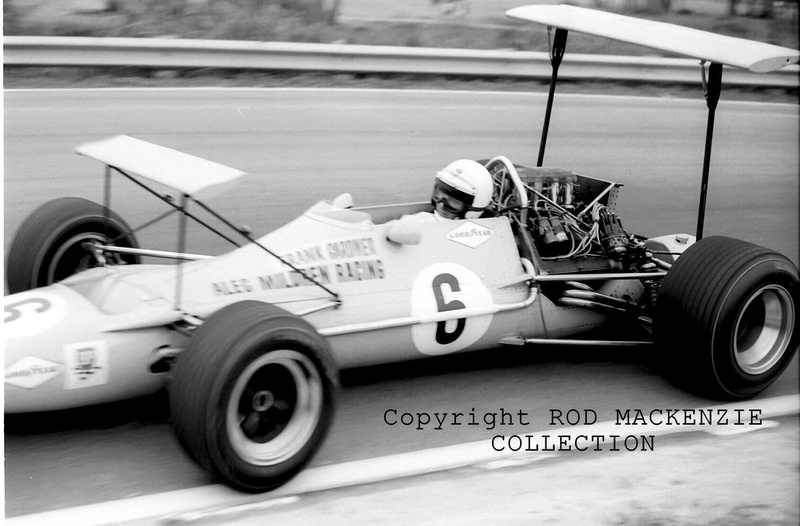 It was not enough really, not without impeccable reliability, but Alfa had put their toes back in F1 waters with McLaren in 1970 and then March in 1971- and would return with Brabham in the mid-seventies, as they had started with Mildren’s Brabham BT23D a decade before.